There are few Djz and producers in the modern techno world who can truly claim to have pioneered a style and sound, and call it their own. Such statements are often declared, but rarely justified. In the case of Ben Long and Jamie Bissmire, the names behind the revered Space DJz this claim would be unarguable. Ever since the pair’s formation in the early 1990’s their unerring ability to fuse raucous techno with their life long love of Hip Hop, has set them aside from there peers. In the present day, an abundance of UK techno producer’s have emerged, none would deny The Space Djz are true innovators. In 1995 the duo released their debut Ep Space DJz on the legendary and now defunked Infonet imprint, quickly followed up by an outing on the Belgium label Reload These two projects put them on the techno map but the real turning point arrived in early 1996 on Infonet with the release of the Return to earth Ep, containing the techno anthems Side on, and Rock the house. Both tracks would blow up to be huge and be re-released via Frankfurt based Ongaku. The combined output of both releases was over 10,000 copies and along side Dave Clarks Red 1 these were two of the biggest tunez of the year and are still much sought after and played to this day. The Djz became prize catches for major playerz Nova Mute and Soma contributing several more classic releases, culminating in 1999’s critically acclaimed album “On Patrol”. The album expressed Ben and Jamie‘s roots perfectly, combining their now infamous hip hop influences with their unique brand of analog techno and chaotic electronic soundscapes. Later that year The Space Djz delivered a trak that was to become one of their biggest hitz to date AK 47 a trak that had originally been heard on a Nova Mute Compilaton was reworked and served to capture the period’s riotus spirit of techno. Listening to that record, one would imagine was like being attacked with a chainsaw buy an electronic chicken, simply brutal. It was released as a double pack on Ben Long’s highly regarded Potential Recordingz and featured remixes by many of techno’s biggest namez including Umek, The Advent, Gaetano Parisio, Oliver Ho, Inigo Kennedy, Chris McCormack. 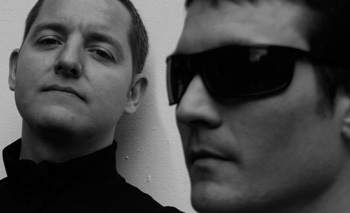 During 2001 Ben and Jamie also able to concentrate on their solo projects working with labels such as Consumer Recreation, CLR, Primate, PrimeEvil, Tortured, Advanced, Eukatech, Speilzeug, and the running of their own labelz Potential Recordingz, Ergonomix, ReRub , 50hz, Ground, Foundation and Target. Jamie also released a Bandulu album Redemption with Music Man. 2002 saw the welcome return of The Space Djz on Blly Nasty’s Tortured imprint with the Faces of Pain double pack, their first release together in almost two years, and a double mix Cd was released on Primal Rythms entitled The Last Djz on Earth. They were back and they were better then ever. 2011 saw the Space Djz turn up the heat on their production schedule to the max, with the massive 5th Parallel on Virigl Enzingerz ICNTRL and the Zero Crossing Ep on Perc’s Perctrax aswell as releases’s for Kombination Research, Delete Funk & Potential there really was no stopping them, with an album / Dj mix and plenty of collabs in the making, 2011 is set to be another bumber year for the worlds longest running techno tag team. With sell out gigz at Ministry of Sound – Malta, Summer Spirit – Germany, Hard Park Factory – Italy, Pig fest – Cz Republic, Photonic Fusion – Slovenia, Toxicator – Germany + the usual world wide club escapades during the 2011 season while many a Dj went by the wayside it was business as normal for the DJz. Having now fully converted their Dj’ing over to NI Traktor for 2010 this has evolved their legendary 4 x 2 set into 8 x 2. As if things couldn’t get any more hectic i hear you say ? Well they can “Traktor now give’s us the power to take Dj’ing as an art form to a new level, dropping any tune at any time and fulfill our desire to rock the house with no musical boundaries taking in our wealth of experience from 20 years + of Dj’ing.